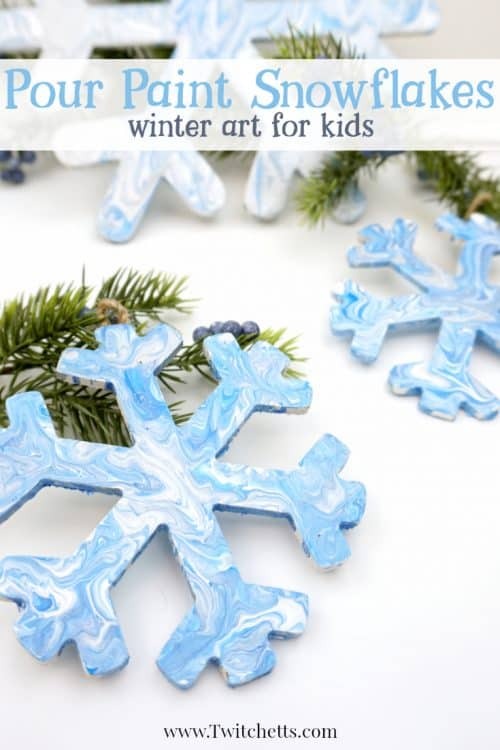 These pour painted snowflake decorations are the perfect winter art project for kids. 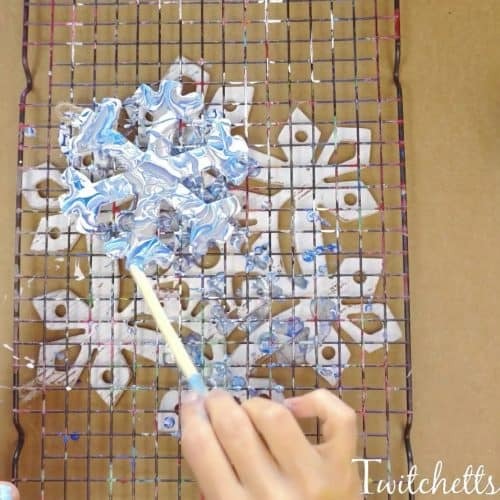 Try this fun creative painting technique and each snowflake will be as unique as the real thing! 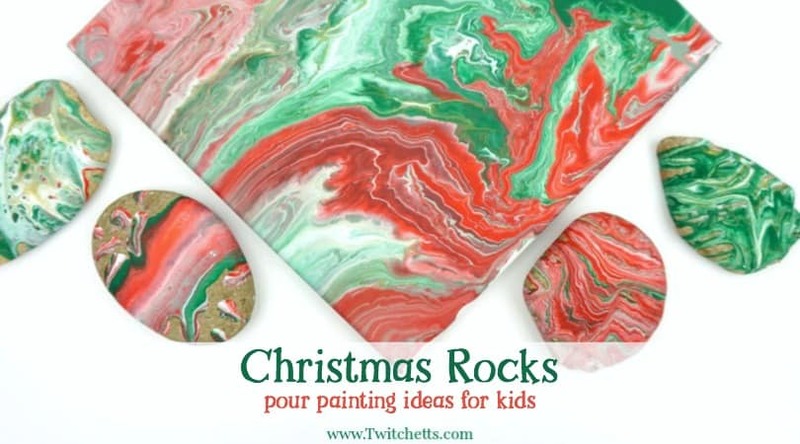 We are having so much fun with our pour painting projects! 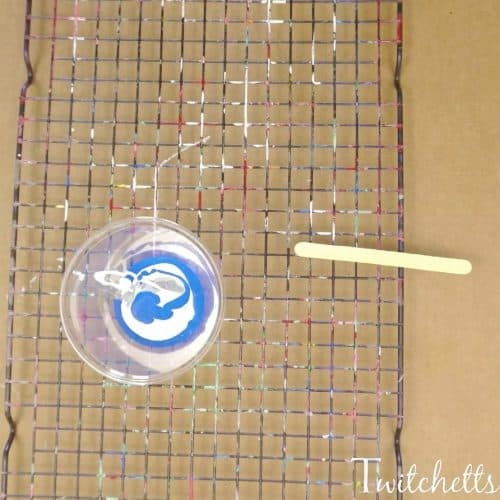 Every single time we try this fun art project the kids get so excited, and the results are always beautiful! 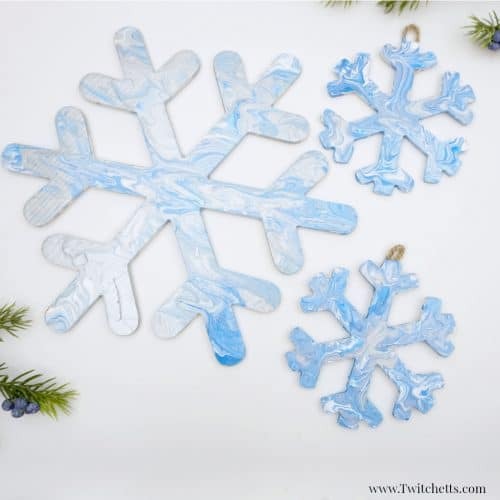 These pour painted snowflake decorations can be hung around your house, made into ornaments, or used as gift tags! 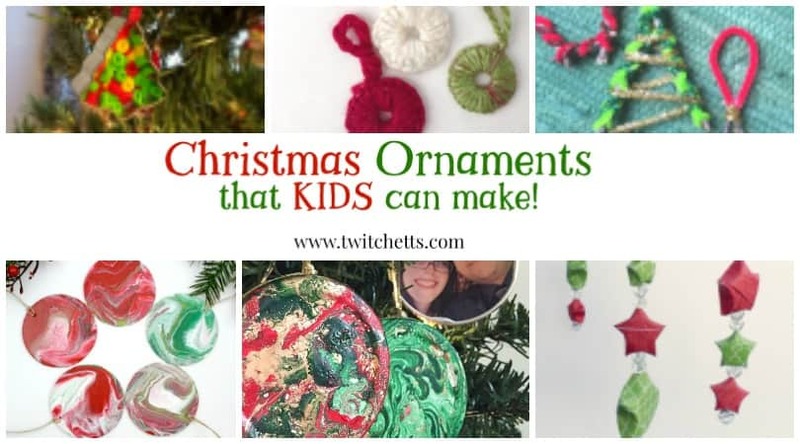 Our process is simple and inexpensive, so you can make them for any reason! 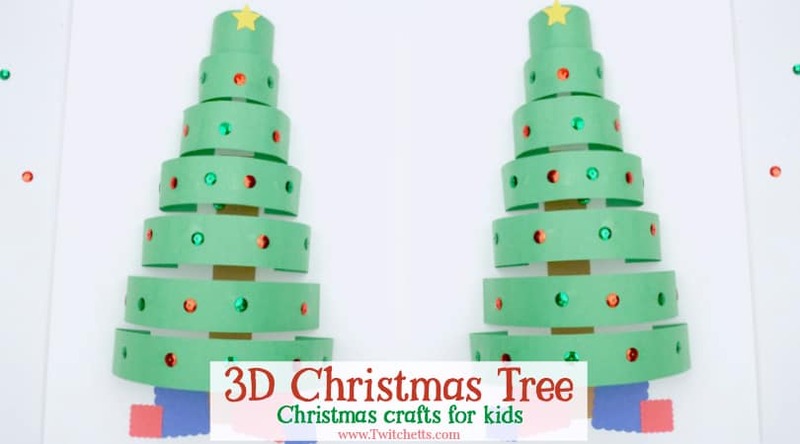 Wooden Snowflakes. Make sure they do not have a glossy surface on them. Thickening Agent. We make our own using white glue and water, or you can buy some. 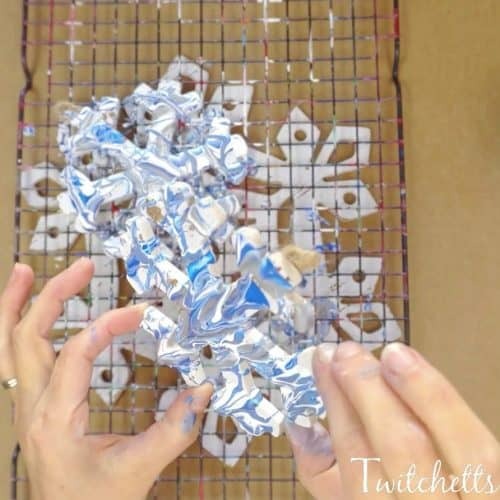 These step by step instructions will help you create your pour painted snowflake decorations. Then you can watch the whole process in the video below. Start by prepping your paints. Like I said above they make a lot of thickening agents for pour painting, but since our projects are for the kids, and on a smaller scale the “cells” that you see in a lot of YouTube videos aren’t really the goal so our DIY thickening agent works. 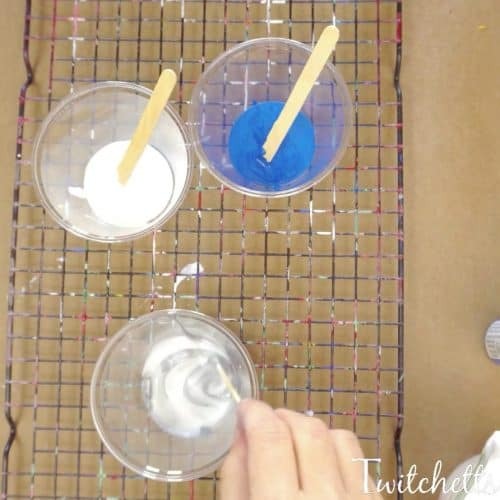 Just mix 2 parts white glue to 1 part water to create the thickening agent. Then mix 1 part paint with 1 part thickening agent. This helps the paints flow and keeps them from blending together right away! Once all of your colors are prepared, start layering the paint in a cup. Pour a small amount of each of your colors into the cup. Repeat the process as many times as you want until you have a cup full of colorful paint layers. 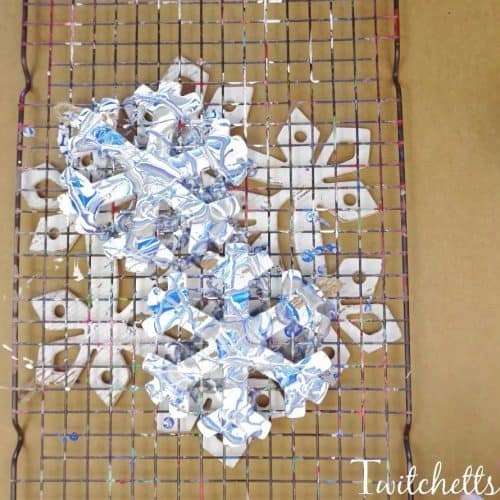 Then pour the paint all over the wooden snowflakes. To catch some of the leftover paint, we like to slide something under the cooling rack. In these pictures, we just added more snowflakes. Check back soon to see what we created with these pour paint drippings. 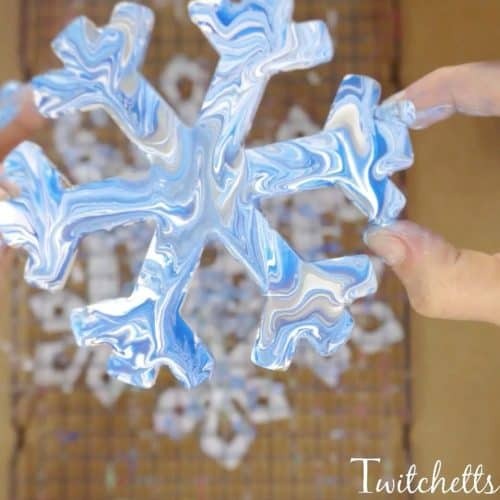 To get the paint to flow over all the edges you will need to tip the snowflake in all different directions. You can encourage it with a craft stick too. 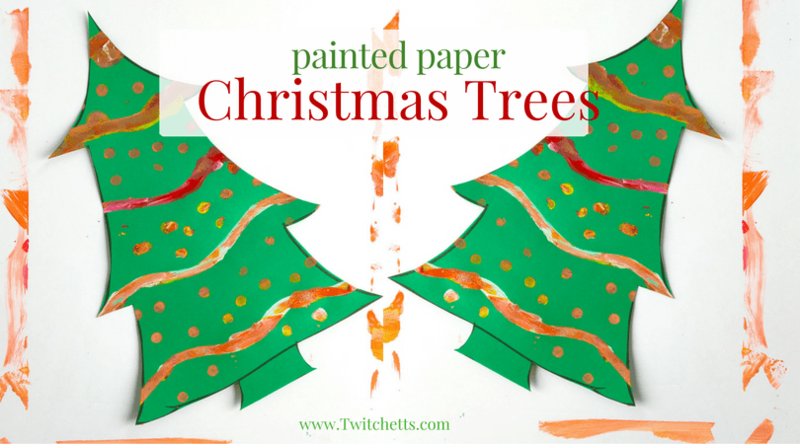 When the paint has spread to each edge, you can place the snowflake on parchment paper to dry. See this whole creative painting process from start to finish in this quick video! 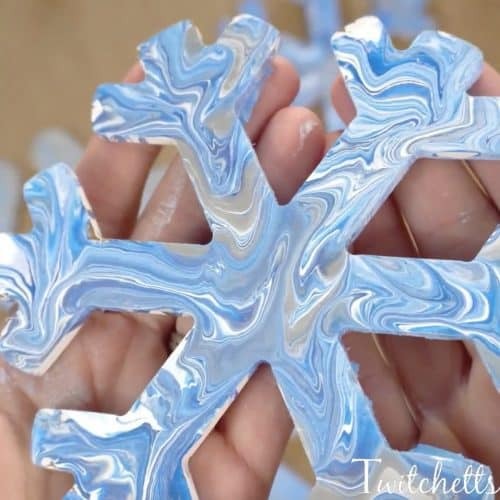 When you look up close, the details in these pour painted snowflake decorations is quite amazing! 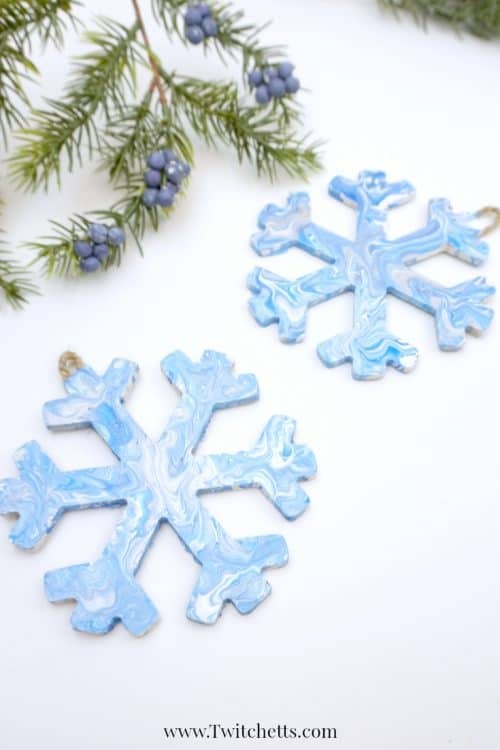 Pin these snowflake ornaments to your favorite Pinterest board.